So the Olympics are over. I am not sure if you were as obsessed with them as I was, but I couldn't get enough! The tragedy, the triumph, the hard work, the dedication, the passion! I love watching people achieve something they have dreamed of their whole life in a matter of seconds! Besides the excitement of the actual competition, I was also impressed by some other things. There were some pretty great commercial series; VISA did an awesome champion series including this one with Dan Jansen's incredible story. Plus the ad series dedicated to the mothers of olympic athletes, done by P & G, was so adorable I couldn't stand it. Even better? 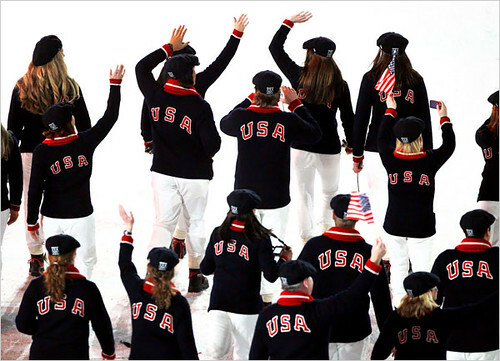 I loved the classy uniforms, designed by Ralph Lauren, for the US Team to wear at the closing ceremonies. 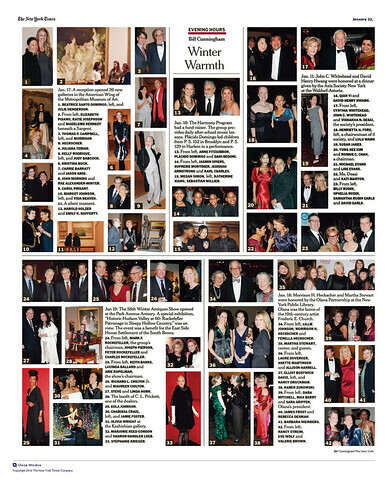 It was ski lodge met preppy chic and every member of the team looked absolutely stunning. But what was with the rest of the ceremony? How awkward was the stand up? And how sad is it that all of the famous Canadian performers have all achieved fame in the US, and lived in the US, for decades? See more photos of the closing ceremonies at the NY Times here and more olympics advertisements here and here.